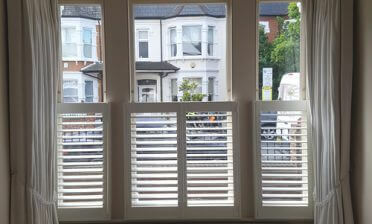 Ben was in West Norwood in South London to fit some new shutters for a client. 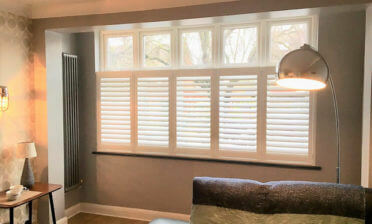 The customers home was located on a busy main road so our shutters were a great way of achieving privacy while also maintaining great control of the natural light. 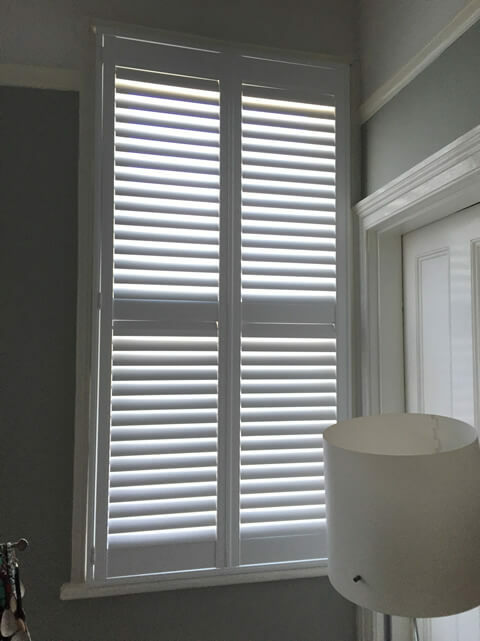 By designing our shutters with a mid-rail the client is able to fully close the bottom section while opening the louvres on the top section to achieve fantastic lighting throughout the whole day, without compromising on the privacy they need. 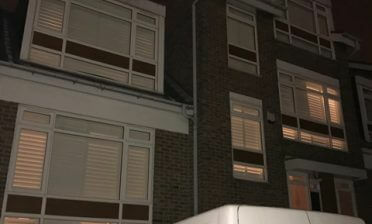 We created these shutters using MDF in a full height style. 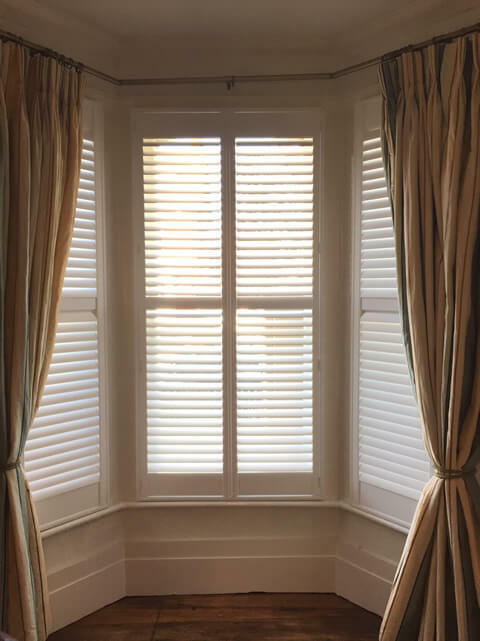 We were asked to fit these shutters to multiple windows in the home including a bay window in the living room of the home. Although all windows were of different sizing, we were able to fully match the look and style of shutters throughout the whole property. 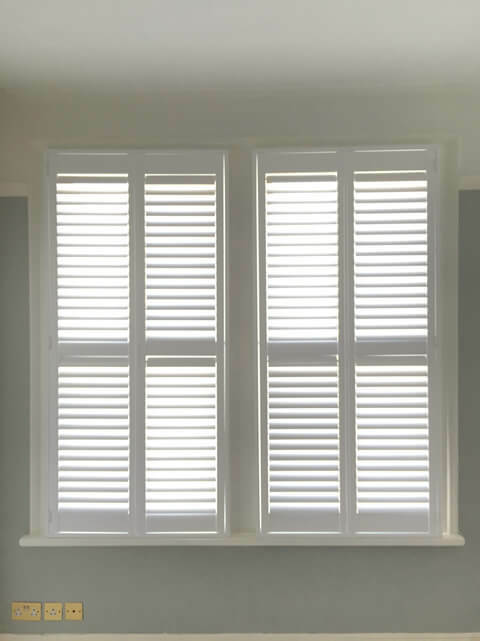 All shutters were finished in pure white with matching hinges which looks great in all rooms that the shutters have been added. 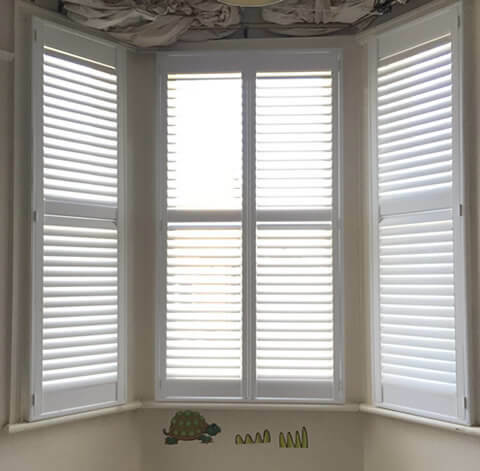 The client opted to have some of our hidden tilt rods as part of the shutter build which allows them to adjust the 64mm louvres by touch of hand rather than using a visible rod. This helps create a more minimalistic look throughout.